The Phoenix real estate market could stand to benefit from a return to normalcy after nearly a decade of volatility. Real estate in Phoenix has come a long way since it was practically the poster child of the last recession. Phoenix real estate investors should take solace in the fact that demand remains high and affordable homes can still be found. It wasn’t that long ago that the ominous bubble hovering over the Phoenix housing sector derailed any hopes the city had of realizing a healthy market. Not unlike the rest of the country, Phoenix was hit hard when the market collapsed. However, times have changed, and a stronger Phoenix housing market has risen from the ashes. There’s no doubt about it: the Phoenix real estate market has come a long way since the depths of the last recession. Perhaps most notably, affordable houses are moving fast, and there’s no sign of demand slowing down. 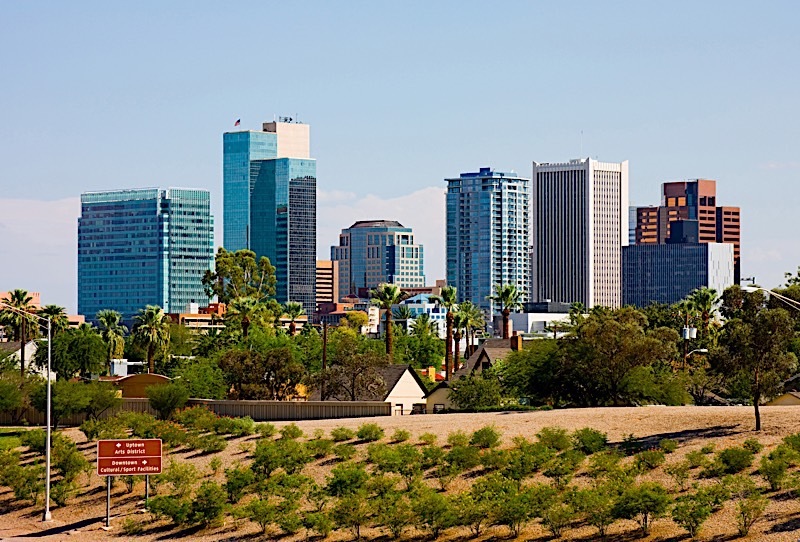 If inventory can keep up with demand, Phoenix could be in for a great year. It is worth noting, however, that inventory remains a big “if.” There is currently a dearth of cheaper properties made available to buyers, which needs to be addressed sooner rather than later. The Phoenix real estate market hasn’t been able to escape the inventory shortage plaguing the rest of the country, which has sent prices soaring, oftentimes to overvalued levels. “Entry-level homes have been in particularly short supply, leading to more rapid home-price growth compared with more expensive homes,” said Dr. Frank Nothaft, chief economist for CoreLogic, in a statement. More specifically, however, median home values in the Phoenix area have increased by as much as 9.4% over the last 12 months. According to Zillow, the latest round of appreciation has brought the median home value in Phoenix up to $227,300. Due, in large part, to the inherent lack of housing availability, prices will continue to rise for the foreseeable future. In fact, Phoenix real estate investors shouldn’t be surprised to see home prices in the region increase an additional three to four percent in the next year. As long as inventory remains tight, prices will continue to increase. We could be looking at a median home value as high as $235,000 by this time next year. RealtyTrac has identified a total of 2,601properties that are in some stage of foreclosure, meaning they are either at risk of going into foreclosure, currently up for auction, or have already been repossessed by the loan originator. More specifically, there are currently somewhere in the neighborhood of 2,601 properties that can be acquired at a discount by savvy Phoenix real estate investors. If for nothing else, distressed properties can be acquired at a great price if the proper steps are taken. According to RealtyTrac, the “median sales price of a non-distressed home was $199,900. The median sales price of a foreclosure home was $163,854, or 18% lower than non-distressed home sales.” For those of you keeping track, that’s an average savings of at least $36,046 per home. Those interested in Phoenix real estate investing should pay special considerations to auction homes and bank-owned properties, as most of the area’s distressed properties seem to fall in one of these two categories. If you are looking for a deal in the Phoenix real estate market, I’d recommend brushing up on your auction skills or your ability to negotiate with banks. On average, U.S. home values have gone up as much as 7.6% in the last year, according to Zillow. The Phoenix real estate market, on the other hand, has seen its average home value jump 9.4% over the same period. However, forecasts suggest the appreciation rate for each will start to temper, which is certainly good news for Phoenix. If for nothing else, the Phoenix real estate market has been too volatile in recent history; a return to normalcy could be just what the city needs. Again, prices will continue to appreciate, probably at a rate somewhere in the neighborhood of 3.5% in the coming year. That’s because, like much of the country, there isn’t enough inventory to satiate the current level of demand. What’s more, real estate in Phoenix should see a jump in new home starts, but not enough to keep up with demand. There is, in fact, quite a bit of construction currently under way, but it doesn’t look like it will ease the inventory burden any time soon. 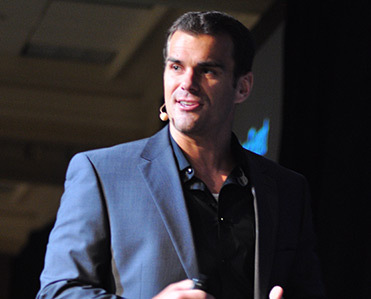 If you are interested in Phoenix real estate investing, be sure to go in with a game plan. Competition, at least in the way Phoenix has seen, will see to it that the unprepared don’t get very far. Therefore, have everything in place before you make a move. Cash, buyers, specifically, will have an advantage over anyone that needs to wait to secure funding. Be sure to have sufficient funds on you at all times, as to keep one step ahead of the competition. The Phoenix housing market was essentially the poster child of the housing market collapse roughly a decade ago, but it’s true what they say: time really does heal all. If for nothing else, real estate in Phoenix has made a triumphant return, and shows no signs of slowing down. I am more than convinced the city has put one of America’s worst recessions in its rearview mirror and has no intentions of looking back anytime soon. Not only that, but I’d expect Phoenix to keep pace with the broader U.S. housing market, particularly when it comes to appreciation. At the risk of sounding like a broken record, the Phoenix real estate market has fallen victim to the same inventory shortages plaguing the rest of the country. The same inventory shortages that have driven up home prices across the country won’t pass over the Phoenix real estate market. At the moment, Phoenix doesn’t have enough available inventory to meet demand, and it doesn’t look like it’ll ease within the next year. You see, people are still flocking to Phoenix because the area boasts “affordable” housing. Such an influx is only putting more of a strain on the tight inventory levels, which would explain why most experts think Phoenix will continue to see prices inch upwards for at least another 12 months. When all is said and done, Phoenix’s tempered appreciation rates could be just what the city needs. The Phoenix real estate market has been on a rollercoaster for about a decade, witnessing extreme volatility, and a bit of a slowdown in price gains could do the area some good.